On this last item, over 400 of you submitted letters to the Land Board opposing this give-away. But with glossy photos of the sacred summit and empty promises to better protect the unique resources of the summit, the University’s self-appointed advisory group called the “Office of Mauna Kea Management” lulled Land Board members into believing the University has the expertise and motivation to protect the Natural Area Reserve on Mauna Kea. The community knows better. The University’s presence on the summit has only led to 40 years of over-development, loss of native habitat, and interference with traditional cultural practices. The Reserve should not be managed by the University in any way. 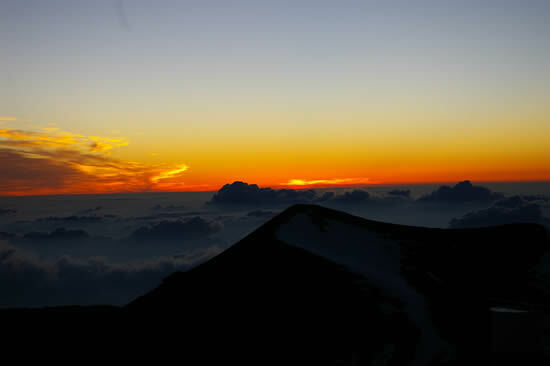 The mission of the Mauna Kea Reserve is to protect the natural and cultural resources of the area, which is in direct conflict with the University’s mission to expand telescope activities on the summit. In fact, the Reserve was established and removed from the University’s control in 1981 precisely because the significant resources there needed more protection from the University’s telescope construction. The Reserve on Mauna Kea protects a unique and threatened mountainous desert habitat and Hawaii’s only alpine lake, Lake Waiau. The Reserve includes the largest adze quarrry in the Pacific, ancient and modern burials, and Queen Emma’s shrine. These are public trust lands–Hawaiian lands held by the state in public trust for the people of Hawaii. Protecting this area needs management by experts in land conservation and cultural resources, not telescope construction. The University has an appalling record of protecting resources while it constructed over 50 telescope and support structures on Mauna Kea. A 2005 EIS confirmed that the cumulative impact of 30 years of telescope activity on the cultural and natural resources of Mauna Kea has been “substantial, adverse and significant.” And this trend continues today, despite the mantra there is “a new management paradigm” on Mauna Kea. Just as it has done many times before, the University is currently pushing to draft a management plan on its own terms, not the community’s, while at the same time entertaining the construction of a new massive telescope on the last pristine plateau of Mauna Kea. The University has long sought more direct control over the mountain to further its long-standing financial interest in developing the summit for telescopes. This week, the Land Board’s decision brought the University one step closer to consolidating its control over the summit. But there are many opportunities coming up to reign in the University and telescope activity on Mauna Kea. Stay tuned to help out in the effort to uphold the protections already on the books for Mauna Kea. In January, we expect the University to once again seek the Legislature’s approval to change the law to allow continued telescope expansion on the summit. The University has tried and failed many times before to command complete control over the summit, but each time the community has successfully educated decision-makers on good policy-making and upheld the protections for Mauna Kea. Let’s get ready to do it again this year!